We’ve just launched a range of recyclable and biodegradable cups. There are two types available; the Aqua Swirl is a fully recyclable and biodegradable 7oz paper cup for cold use only that can be recycled along with your general paper waste, and they come in boxes of 2,000 or sleeves of 100. The Planet cup is also fully recyclable and biodegradable 7oz paper cup, again for cold use only. 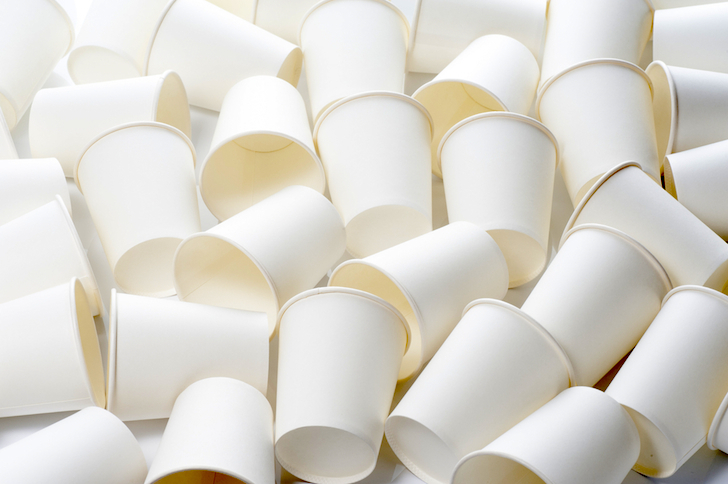 These cups can be recycled along with your general food waste and will decompose over time, and are available in boxes of 1,000 or sleeves of 100. If you’d like recyclable cups in your workplace, please call our sales team on 01482 351003 or email sales@countrywise.net. And remember, we deliver across the whole of Yorkshire, Lincolnshire, Derby and Nottingham.